Raising the Red Flag at the Rotunda. The workers occupation of January 1922. | Come Here To Me! « Punks or Posers? The 1970s Dublin Punk and New Wave scene. Raising the Red Flag at the Rotunda. The workers occupation of January 1922. 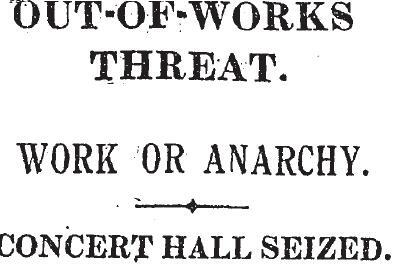 The seizure of the Rotunda concert hall by a reasonably large group of unemployed workers, and the hoisting of the red flag over the premises, remains one of the most bizarre and understudied events of the Irish revolutionary period. In his excellent history of the ITGWU, The Irish Transport and General Workers’ Union: The Formative Years C. Desmond Greaves wrote that, early in 1922 “….industrial conflict took the form of individual struggles rather than a concerted class war.” The occupation of the Rotunda came two days after the foundation of the new state, and was perhaps the earliest example of class anger within it, a direct response to the existing high levels of unemployment. 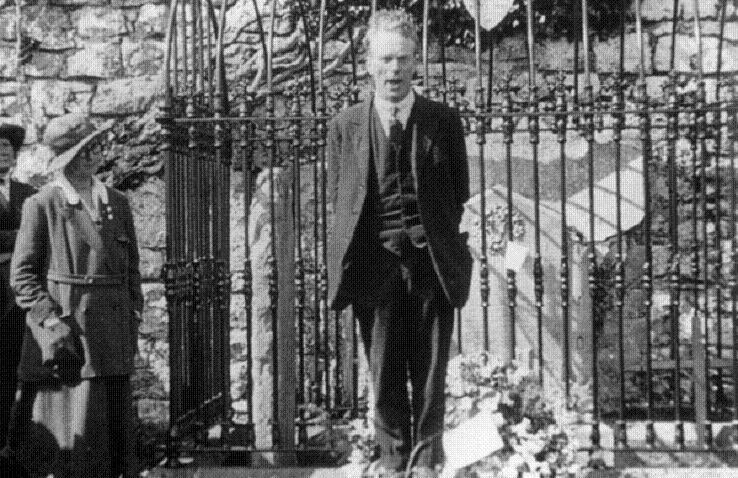 One of the leading figures of this occupation was Liam O’ Flaherty, today well-known as the author of The Informer, the classic novel, but then acting as a dedicated socialist. Liam O’ Flaherty, as chairman of the ‘Council of Unemployed’, spoke to the paper about the refusal of the men to leave the premises, stating that no physical resistance would be put up against the police and that the protest was a peaceful one, yet they intended to stay where they were. “If we were taken to court, we would not recognise the court, because the Government that does not redress our grievances is not worth recognising” O’ Flaherty told the Times. An example of press coverage of the occupation. A later Irish Times report gives some idea of the level of organisation involved in such an occupation. On January 20 the paper noted that a man had been court martialed and reduced to the ranks. “…we reduced him to the ranks for disobeying orders” the paper quoted the “leader of the men” as saying. By that stage, two days into the occupation, around 200 men were present. The paper noted a maintainance fund had been established, with Bolands bakery on Capel Street making a grant of 500 loaves to the men. The paper also noted that sporadic concerts had taken place inside the occupation, and that “A meeting of the unemployed was held during the day yesterday, and the “garrison” paraded Parnell Square”. Of course, many Dubliners were extremely hostile to the sight of the red flag in Dublin. Angry demonstrations occurred each night during the occupation, and the Irish Independent noted (January 21) that “About 8.30 last night a hostile crowd of about 500 assembled in Cavendish Row, and indulged in shouts and derisive cheers. About 10pm a young fellow made an attempt to reach the red flag hung out from a window, but fell to the ground. He was taken to Jervis St. Hospital, but he was not detained.” When the flag was removed, the crowd cheered loudly.It was only thanks to the Dublin Metropolitan Police and the Republican Police that those inside the Rotunda were unharmed, as the crowd stormed the building. It was becoming clear the occupation was not sustainable. On the Thursday night, a member of the occupying group had been attacked collecting money near the premises, and since then tensions had been high. The occupation, which had begun on Wednesday, was to end late on Saturday night. As the hatred outside intensified, shots were fired over the heads of the mob from inside the hall. Just before midnight, and under the protection of the combined police forces, the occupiers left the building and the crowd soon departed without incident. O’ Flaherty took off for Cork. 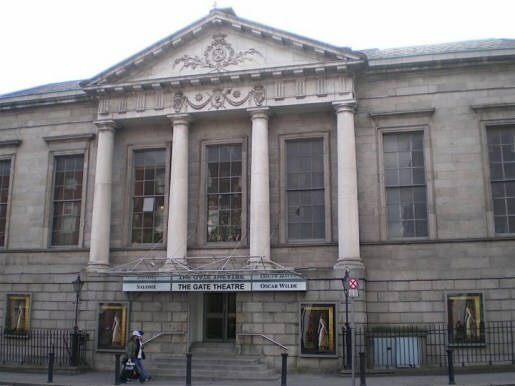 The Gate Theatre, site of the occupation today. The occupation of the Rotunda remains an often overlooked piece of the history of the period. Before Mellows penned the above, O’ Flaherty and a small band of followers had demanded a Workers Republic, and nothing short thereof. In Irish history, the Rotunda is seen as being of great importance as the site of the foundation of the Irish Volunteers. Sadly, no plaque marks the workers occupation of the site in 1922. Quite an interesting episode, of note is the donation to the garrison of bread from Bolands mills, I wonder was it from the management or as a solidarity gesture from the workers or both. Imagine if it were today, with a force of 450,000 to choose from? They lost support due to the strong association with the aethiesm of communism. Liam O’Flahertys brother T.J. or Tom O’Flaherty was a founder of the CPUSA and later of American Trotskyism. 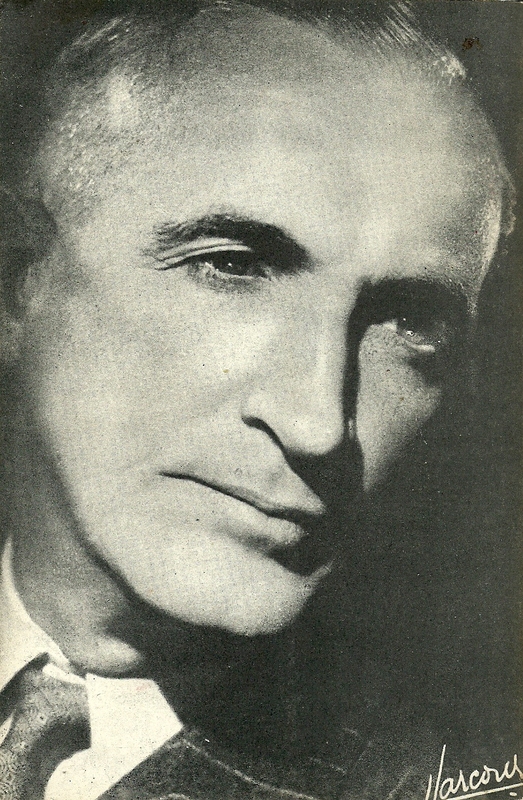 On his return to Ireland in the 30s he wrote for the Irish language journal An t-Eireannacht. on January 22, 2013 at 1:25 pm | Reply Vaughan’s Hotel, Parnell Square. « Come here to me! on August 28, 2016 at 3:09 pm | Reply When “Stalin’s Star” came to town: Protesting Orson Welles in 1950s Dublin. | Come Here To Me!